Research in the Lotze Lab @ Dalhousie University focuses on human-induced changes in marine populations, communities and ecosystems. This includes past, present and potential future human impacts in the ocean, such as exploitation, habitat alteration, nutrient pollution, and climate change. We aim to understand how these individual and cumulative drivers have altered – or will alter – the abundance of populations, biodiversity patterns, species interactions, the underlying structure and functions of marine ecosystems and the services they provide for human well-being. recovery of depleted species and degraded ecosystems. To approach these topics, we use a combination of large-scale field surveys, factorial laboratory experiments, historical literature studies, analysis of large data sets, and ecological modeling. In this study, we developed a standardized human impact metric that includes five bay-scale and four local-scale impacts to quantify the range and magnitude of anthropogenic impacts to coastal bays and nearshore biogenic habitats. We then applied this metric to 180 seagrass beds in 52 coastal bays and three provinces across Atlantic Canada. Our results provide insight into where coastal bays and seagrass ecosystems are most and least affected by individual or cumulative human threats, which can inform management and conservation planning. Our impact metric can be applied to other coastal regions and habitats in Canada and beyond. Climate change is altering the distribution and abundance of marine species, including canopy-forming seaweeds which provide important ecosystem functions and services. We used species distribution models to project climate-driven range shifts of rockweeds (Ascophyllum nodosum, Fucus vesiculosus), Irish moss (Chondrus crispus), kelps (Saccharina latissima, Laminaria digitata), and the invasive Codium fragile in the NW Atlantic. Our results highlight the benefits of strong climate change mitigation which would limit changes in rocky-shore community compositions. Yet substantial range shifts are expected under business-as-usual emissions, with a transition in dominant species and community reorganization south of Newfoundland. Climate change will significantly alter marine ecosystem structure and function with associated socio‐economic impacts on ecosystem services, marine fisheries, and fishery‐dependent societies. We use an ensemble modelling approach to analyze how these changes may play out in different ocean basins over the 21st century under different emission scenarios. 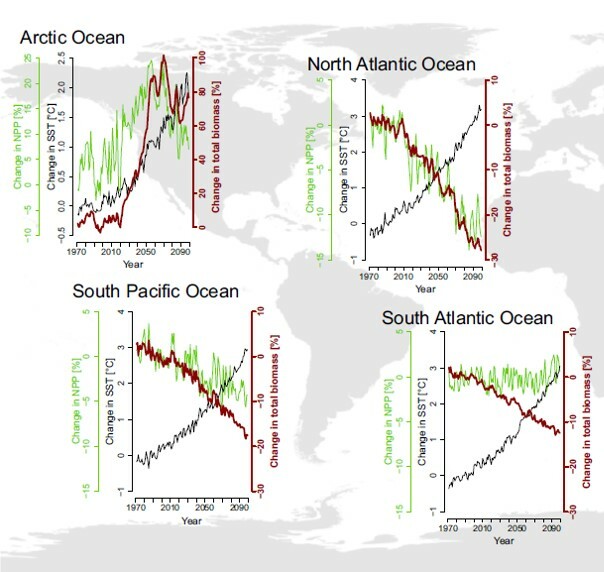 Generally, marine animal biomass declined in the North and South Atlantic, North and South Pacific, and Indian Ocean basins by 2100, whereas the Arctic and Southern Ocean basins experienced an increase, and ecosystem structure shifted as animal biomass concentrated in different size‐classes. Results highlight that mitigation measures could moderate the impacts of climate change on marine animal biomass. The Atlantic halibut longline fishery is the second most valuable groundfish fishery in Atlantic Canada and received Marine Stewardship Council certification in 2013. 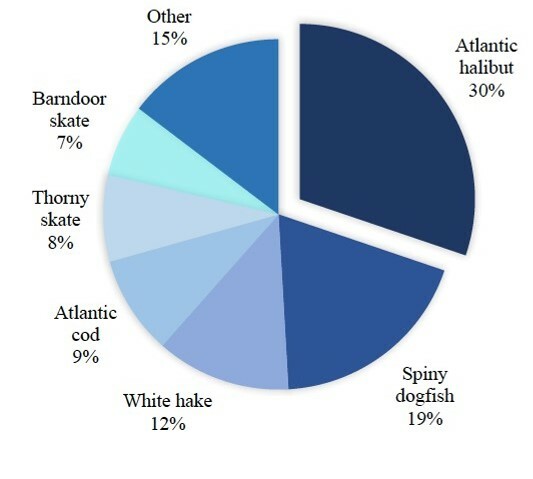 Analysis of annual survey data across the Scotian Shelf and Southern Grand Banks from 1998-2016 revealed that 70% of the total catch by weight and 85% by number of individuals were bycatch, with over 100 identified species of finfish, sharks, skates, benthic invertebrates, marine mammals and seabirds. This included 4 species listed under the Species at Risk Act and another 14 species awaiting a listing decision based on the Committee on the Status of Endangered Wildlife in Canada. Our results identify temporal trends in threatened species and hotspot by bycatch areas which can inform recovery strategies, bycatch levels and spatial zoning in fisheries management and marine conservation. 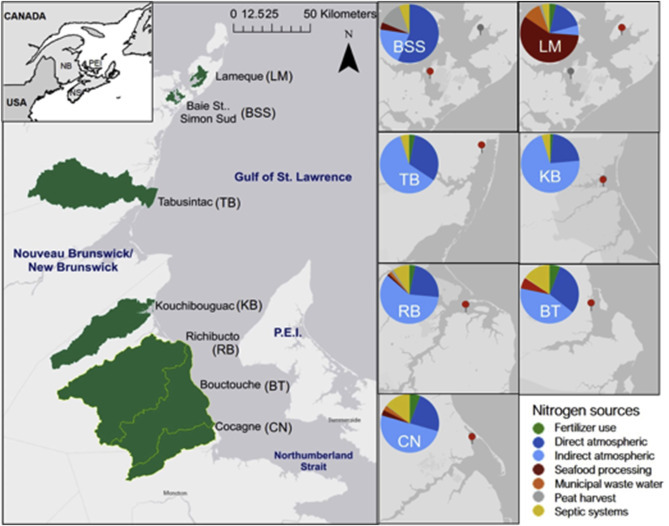 This study used results from a nitrogen loading model together with field survey data in Atlantic Canada to assess linkages between nitrogen loading, tidal flushing and bivalve aquaculture on observed eutrophication indicators in eelgrass habitats. Multivariate analyses revealed positive correlations between nitrogen loading and eutrophication indicators, with distinct clusters of high- and low-impact sites, and the mitigating effects of flushing time and aquaculture. Our results highlight that combining measures of nitrogen loading, eutrophication indicators and mitigating factors can help detect early warning signs and assess eutrophication risk to inform management and conservation of coastal ecosystems before significant losses of seagrass occurs. 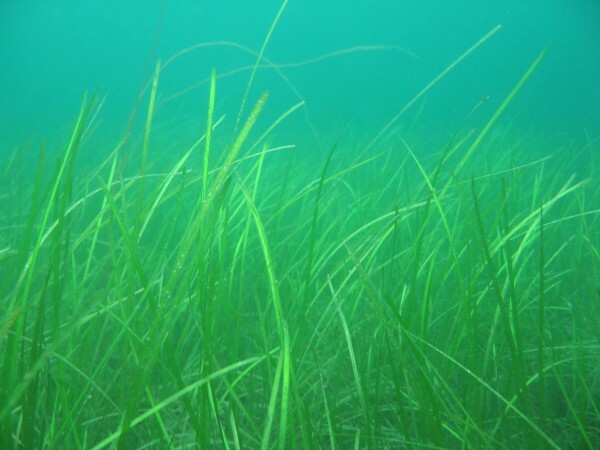 Eelgrass has been designated an Ecologically Significant Species in Atlantic Canada, yet the development and rapid expansion of open netpen finfish aquaculture has raised concerns about potential impacts on eelgrass habitats. 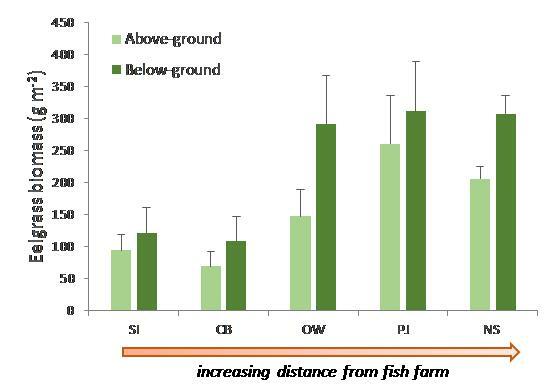 Based on field surveys at increasing distances from a finfish farm in Port Mouton Bay and reference sites in adjacent Port Joli Bay and along the Nova Scotia coast, this study found higher nutrient and organic enrichment, lower eelgrass cover and biomass, and lower macroinfauna biomass closer to the farm, as well as changing community structure with some opportunistic species increasing and some sensitive species decreasing closer to the farm. Out results can be used to inform metrics for assessment and monitoring. A protocol for the intercomparison of marine fishery and ecosystem models: Fish-MIP v1.0. Model intercomparison studies are crucial to building credibility and coherence for future projections. This paper describes the Fisheries and Marine Ecosystem Model Intercomparison Project (Fish-MIP) and the protocol for the first round of simulations for interested marine ecosystem modelling groups. This protocol is designed to allow heterogeneous models to be forced with standardized Earth system model outputs under prescribed emission and fishing scenarios for historic and future time periods, thus allowing for a systematic comparison of results. Ultimately, Fish-MIP represents a step towards bringing together the marine ecosystem modelling community to produce consistent ensemble medium- and long-term projections of marine ecosystems. 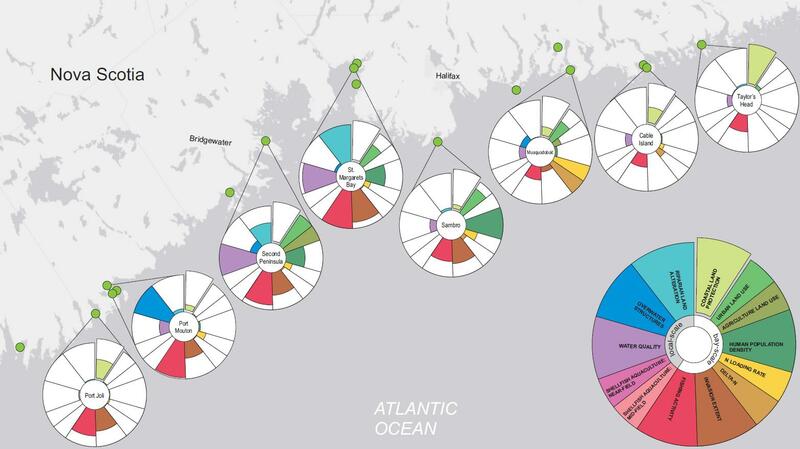 Using 11 years of data collected by lobster fishers in Port Mouton Bay, Atlantic Canada, this study shows that both market-sized lobster catches and berried lobster counts in 5 different regions adjacent to a finfish farm were reduced during stocking (feed) periods compared to non-stocking (fallow) periods. Also, lobster catches were lower in region 2, which included the fish farm, and higher in region 5, which was furthest away from the farm. Our results provide critical information for the management of multiple human uses in the coastal zone and the conservation of shellfish habitats that sustain traditional fisheries. 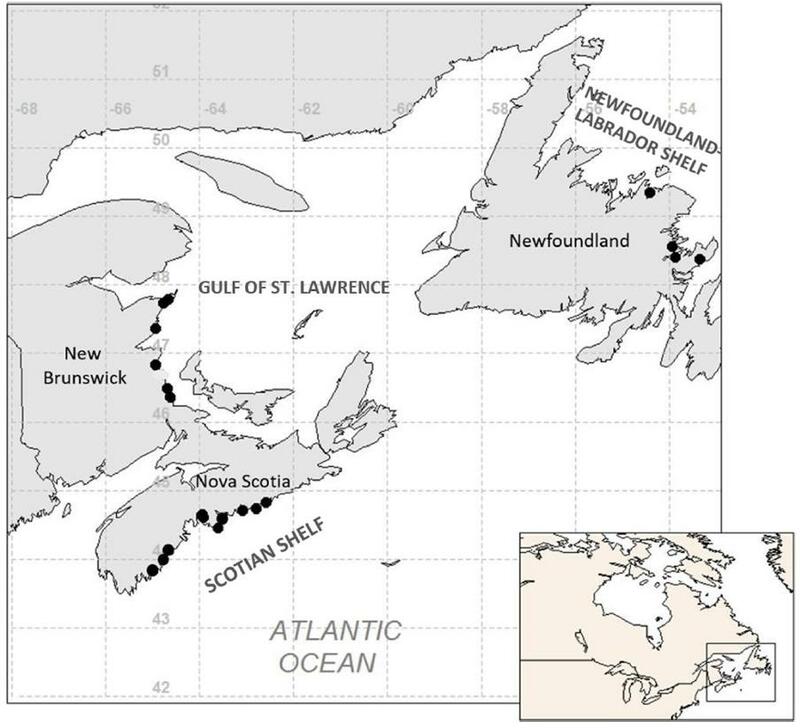 This study used large-scale field surveys to examine differences in – and linkages between – eelgrass canopy structure, environmental parameters, and macroinfauna abundance, species richness and community composition across three biogeographic regions in Atlantic Canada. Our results provide insight into different levels of spatial variation in eelgrass habitats and highlight the important influence of benthic primary production on the macroinfauna community. This work can inform the assessment and monitoring of eelgrass beds and the evaluation of ecosystem health. Nutrient loading from anthropogenic sources has implications for the health and functioning of aquatic species and ecosystems. 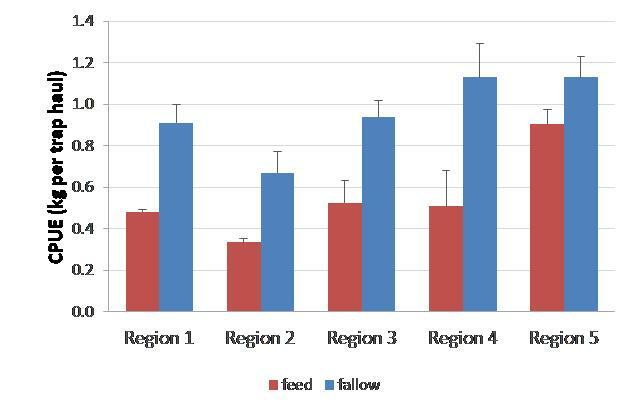 Using a nutrient loading model (NLM), this study estimated that a large amount of nutrient loading in 21 Nova Scotia bays was derived from atmospheric deposition, followed by fertilizer use and discharges from seafood processing and finfish aquaculture. Loading rates were generally related to the footprint of human activities in surrounding watersheds. The NLM can be easily updated and applied to other watersheds to compare nutrient loading rates across similar systems. This paper highlights two case studies in Nova Scotia and Kenya and a synthesis of 25 surveys with >32,000 respondents from 21 countries around the world. Our results show that most respondents believe that the ocean is under threat and are in support of more ocean areas to be protected. This overview on public perceptions can help managers, policy makers, conservation practitioners and educators to improve management and conservation programs with the support of the general public. From 1950-2015, plastic production has increased to 322 million metric tons (Mt) per year, approaching the total weight of the human population. Of this, 4.8–12.7 Mt enter the ocean, as macroscopic litter or microplastic particles, where it cannot be easily removed, accumulates in organisms and sediments, persists much longer than on land, and toxic effects move up the food chain, including to people. We argue that plastic should be treated as a persistent marine pollutant and suggest a Global Convention on Plastic Pollution that incentivizes collaboration between governments, producers, scientists, and citizens to solve the global plastic accumulation. Many studies have aimed to understand the factors critical for species extinctions in order to help prevent further species losses on land and in the ocean. Over the past decades, conservation and management efforts have enabled several species to recover, while others remain at low abundance levels or continue to decline. This paper examines the critical factors for marine mammal recovery – or the lack thereof. Our results provide insight for improving conservation and management strategies to hopefully enhance recoveries in the future. In this new book celebrating Canada’s 150th birthday by the Peter Wall Institute for Advanced Studies, Diane Srivastava, Jennifer McCune and Heike Lotze contributed a chapter on “Canada’s environment: why planning for the future requires looking at the past”. Using cases studies from Canada’s land and sea, we illustrate how just looking at current or the last few decades of monitoring data can greatly mislead conservation and management efforts because huge changes have occurred over the course of history, particularly since European colonization. Heike Lotze contributed to this new publication by the Heinrich Böll Stiftung in Germany, that illustrates the important roles played by the ocean and its ecosystems for people around the world. It aims to give current insight on the state of – and threats to – the seas. Covering more than two-thirds of our planet’s surface, the ocean provides us with food, energy, minerals, transportation routes and is crucial for our climate and weather systems. But due to human impacts, the future of these ecosystem services is threatened. Also available in German. In this new paper, we compare food production sectors and their supporting ecosystems on land and sea, and how they are linked through interactions and trade-offs that challenge our ability to reach the United Nations Sustainable Development Goals (SDGs). We demonstrate how the food services are threatened by increasing demands, biodiversity loss and climate change across the land-sea boundary and that many countries face multiple challenges at once with little adaptive capacity. Eutrophication has caused strong shifts from perennial seagrass to opportunistic macroalgae and phytoplankton in many coastal ecosystems worldwide. This new paper shows how region-specific responses of primary producers affect the associated animal communities. Large-scale field surveys revealed that eelgrass beds continue to persist at intermediate levels of eutrophication, but the loss of sensitive species and decrease in species richness highlight that eutrophication has already changed seagrass ecosystems in Atlantic Canada. A critical component of science-based fisheries policy is the provision of habitat adequate for population renewal. Yet, the Fisheries Act of Canada pays little attention to managing fish habitat and was weakened by changes enacted in 2012. Specifically, determining the habitat’s role in contributing to fisheries is challenging when many stocks have severely declined. Based on three independent case studies, we show substantial declines in juvenile cod and pollock in coastal habitats across Atlantic Canada coinciding with declines in adult stocks. However, juvenile fish are still around and could aid in stock recovery. Thus, we recommend enhanced legislation for fish habitat management, particularly in valuing its potential for fish stock recovery. In Atlantic Canada, rockweed plants vary regionally resulting in distinct canopy structures. In this study, we used large-scale field surveys and multivariate statistics to demonstrate that the observed differences in canopy structure are further linked to distinct communities of associated species. Importantly, measures of plant and canopy structure (e.g. length, circumference, density) were much better predictors of associated community structure than rockweed biomass, which is often used for single-species monitoring. Thus, information about canopy structure and associated species composition should be incorporated into region-specific ecosystem-based management of the rockweed harvest. Many coastal species are affected by a variety of human activities, such as nutrient loading, chemical run-off, harvesting, habitat alteration and increasingly also climate change. 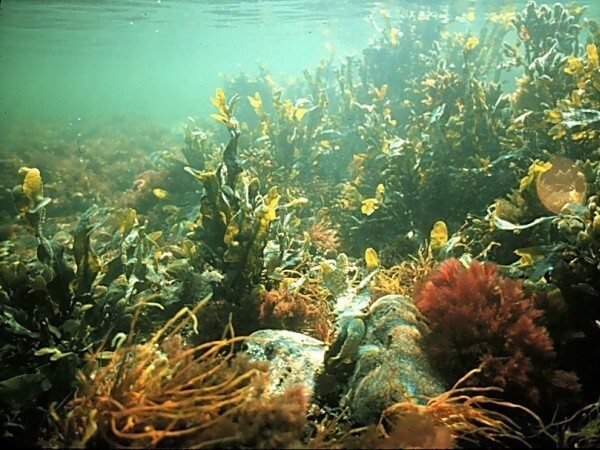 In this study, we used a multi-factorial laboratory experiment to test the cumulative effects of climate warming and nutrient loading on an important, habitat-forming intertidal seaweed, the rockweed Ascophyllum nodosum, which provides important ecological functions as well as economic services. The climate change application community comprises researchers and other specialists who use climate information to analyze the vulnerability, impacts, and adaptation of natural systems and society to climate change. Much of this activity is directed toward the co-development of information needed by decision makers for managing projected risks. This paper describes the motivation for the creation of the VIACS Advisory Board for the 6th phase of the Coupled Model Intercomparison Project (CMIP6) and its plans to serve as a bridge between climate change applications experts and climate modellers. Lobster fisheries are of high economic and social importance in Atlantic Canada and in New Zealand, thus their proper management is of critical importance. So far, their management effectiveness has been evaluated from a single-species approach, which tells us little about potential impacts on the rest of the ecosystem. Here, we analyze the effectiveness of lobster fisheries management from a multi-species and ecosystem perspective, using ecosystem modeling approaches. The decline and collapse of Atlantic cod around Newfoundland is well known – but how has this decline of a formerly dominant species affected the structure and functioning of inshore fish communities? In this new paper, we analyze data from detailed beach seine surveys in coastal ecosystems along the eastern coast of Newfoundland from the 1960s and 1990s to compare the abundance, diversity and species composition of inshore fish communities before and after the cod collapse. This study explores the differences in two commonly used methods to survey coastal fish communities: visual underwater surveys and beach seine survey. We show which results are comparable between the two methods and which could be used in combination to derive a more complete picture of fish community structure and composition in coastal ecosystems. This can inform designing the most appropriate monitoring and assessment programs. This new paper synthesizes the ecosystem effects of marine invertebrates, including lobster, crabs, shrimp, cephalopods, sea urchins, bivalves, gastropods and others, across 12 marine ecosystems around the world. Over the past few decades, fisheries catches of invertebrates have rapidly increased in many countries worldwide, yet the effects of those fisheries on other species, such as commercial fish or species of conservation interest, and marine ecosystems as a whole are largely unknown, although critical for effective ecosystem-based management. In the new book “Perspectives on Oceans Past: A Handbook of Marine Environmental History”, edited by Kathleen Schwerdtner Máñez and Bo Poulsen, Marta Coll and Heike Lotze contribute a chapter exploring how various ecological indicators as well as food-web models can be used as tools to study historical changes in marine ecosystems over long time scales. They provide many useful examples and case studies that can be applied to different aspects and studies of historical ecology in the marine realm. In this second edition of “Climate change: observed impacts on Planet Earth”, edited by Trevor Letcher, Boris Worm and Heike Lotze contribute an updated version of their chapter on marine biodiversity and climate change from the first edition highlighting the newest results from a rapidly growing research field. Climate warming is affecting an increasing number of species in the world’s ocean. Here, we used a multi-factorial laboratory experiment to test the effects of warming sea surface temperatures on the survival and growth of selected ecologically and economically important seaweeds in the Northwest Atlantic Ocean. These seaweeds provide essential three-dimensional habitat to a range of associated species and some support a commercial harvest, thus their future in a warming ocean is important to both marine ecosystems and humans. 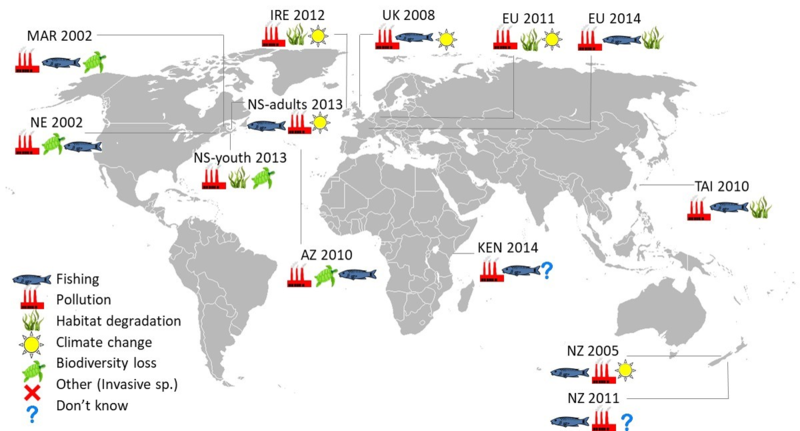 Nitrogen loading is a principal factor associated with the decline in eelgrass bed health and cover in estuaries worldwide. In this paper, we applied a nitrogen loading model to estimate annual inputs of total dissolved nitrogen from point and nonpoint sources in 7 estuaries in Atlantic Canada. Our results provide new information on nitrogen loading in a region with mainly forested watersheds and comparatively low human impacts. Invertebrate fisheries are increasing around the world, yet their consequences are largely unknown, impairing ecosystem-based management. This study shows that lobster, abalone and urchin fisheries have considerable effects on other species and the marine ecosystem as a whole, particularly at current high exploitation levels that exceed those that would produce maximum sustainable yield. 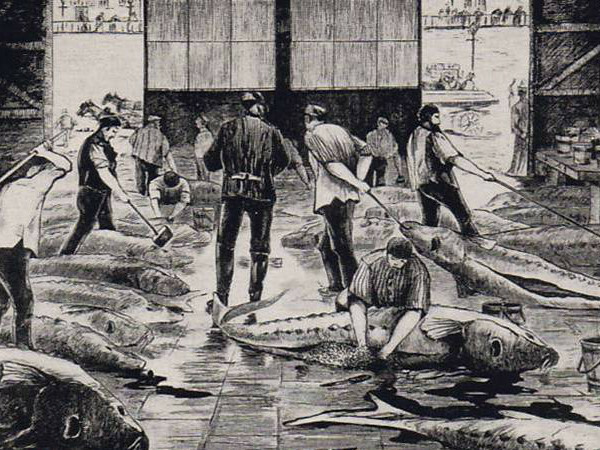 Thus, reducing exploitation would benefit both target catches and the environment, a win–win situation. The fossil record provides rich information on past extinctions in the world’s oceans. This new collaborative study shows how we can use such information to predict which living species today are inherently more vulnerable and at a higher risk of extinction than others. Mapping their distribution globally identifies regions with high intrinsic risk. Some of these regions are also strongly affected by current human activity or climate change, and may be hotspots of future extinctions. This study used a quiz and survey to assess the level of ocean literacy in more than 700 public school students in grades 7-12 in Nova Scotia. Results indicate relatively low levels of ocean knowledge and a positive link between knowledge and valuation of the marine environment and interest in ocean-related jobs and careers. This suggests that improving public awareness about the ocean can benefit the environment, economy, and society. Hagfish have been commercially fished in Asia since the 1940s. This new study shows that after local stock depletion hagfish fisheries expanded around the world with some serial depletion patterns as in sea urchin and sea cucumber fisheries. In Atlantic Canada, hagfish landings and fishing effort increased 24-fold over the past 20 years with strong spatial expansion. The sustainability of current hagfish fisheries is questioned given the limited knowledge, assessments and regulations. Exploitation has caused widespread declines in marine predators, such as large sharks. It has long been assumed that this may destabilise marine communities, yet empirical evidence has been lacking. In this new study, we used a community matrix model to analyze three indices of stability in a coastal fish community and found significantly decreasing stability with predator depletion. These results have important implications for the conservation and management of predators in our oceans. In this new book Marine Historical Ecology in Conservation, edited by JN Kittinger, LE McClenachan, KB Gedan, and LK Blight, the authors explore how we can apply historical knowledge to manage for the future. In Chapter 2, Heike reviews trends in the recovery and non-recovery across a range of marine species and their major drivers. She also assesses the management successes and failures and how knowing the past can improve current and future conservation efforts. Another new Book on Marine Ecosystem-based Management edited by MJ Fogarty and JJ McCarthy in the Series THE SEA, Volume 16. In Chapter 2, Heike together with historian Richard Hoffmann and archaeologist Jon M. Erlandson describe the history of fishing and how people throughout history responded to resource depletion. It shows how different management measured evolved and what we can learn from their successes and failures. Check out this new Marine Community Ecology and Conservation Book edited by MD Bertness, JF Bruno, BR Silliman and JJ Stachowicz. 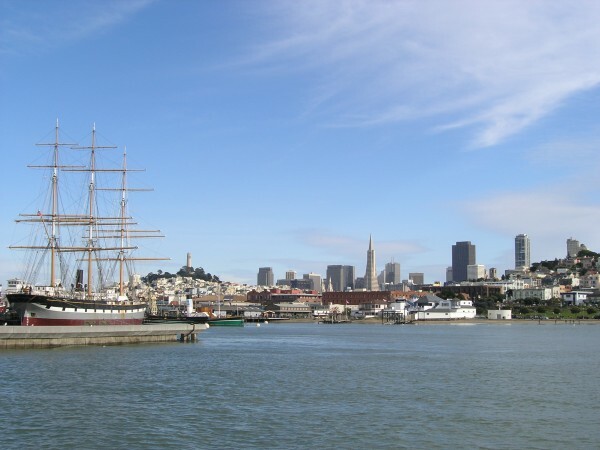 In Chapter 8, Heike and co-author Loren McClenachan describe the origin and development of marine historical ecology, synthesize what and how we can learn from different disciplines and data, and discuss how we can apply this historical knowledge in science, management, conservation and education. 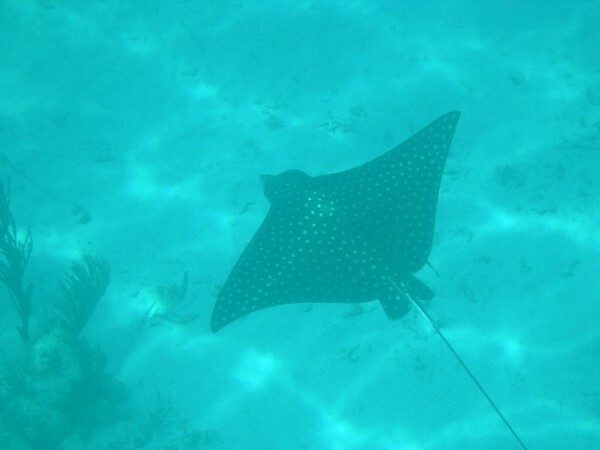 The abundance of sharks and rays can decline considerably with fishing, but assessing the drivers of community changes can be complicated by species interactions and variations in vulnerability to fishing. This study used data from five trawl surveys conducted between 1948 and 2005 to evaluate long-term trends in elasmobranch communities in the Adriatic Sea. Since 1948, catch rates have declined by > 94% and 11 species ceasing to be detected. Heike Lotze & Boris Worm received this year’s Peter Benchley Award for Excellence in Science. Through their extensive body of work they have significantly increased the world’s knowledge about the changing abundance and diversity of the planet’s fish and marine wildlife populations and the impact of nutrient pollution and other human activities. The awards ceremony will take place on May 15, 2013 at the Carnegie Institution in Washington, D.C.
Marine mammals have greatly benefitted from a shift from exploitation towards conservation. Yet while some populations have shown remarkable recoveries, others remained at low levels, continued to decline, or became extinct. This study synthesizes available data for marine mammal populations worldwide, quantifies their abundance trends and recovery status, and evaluates the link between historic population decline and recent recovery. In response to declining elasmobranch populations, combined with the realization of their importance to the environment and local economies, a number of management plans have been initiated to slow and (ideally) reverse these negative trends. This paper reviews our current understanding of elasmobranch population recoveries and shows that 1) populations can recover – the earlier the better; 2) incidental fishing pressure can stall or prohibit recovery; and 3) management and conservation strategies must be multi-faceted in order to be successful. In the coming century, life in the ocean will be confronted with a suite of environmental conditions that have no analog in human history. Will marine species adapt or go extinct? This study compares the patterns, drivers, and biological correlates of marine extinctions in the fossil, historical, and modern records and evaluates how this information can be used to better predict the impact of current and projected future environmental changes on extinction risk in the sea. The assessment of fishery status is essential for management, yet fishery-independent estimates of abundance are lacking for most fisheries. Methods exist to infer fishery status from catches, but the most commonly used method is biased towards classifying fisheries as overexploited or collapsed and does not account for still-developing fisheries. This study introduces a revised dynamic catch-based method that overcomes these deficiencies. Eutrophication in the coastal ocean can severely alter the composition of marine plants with consequences on carbon and nutrient storage and cycling as well as habitat and food provision for associated animal communities. 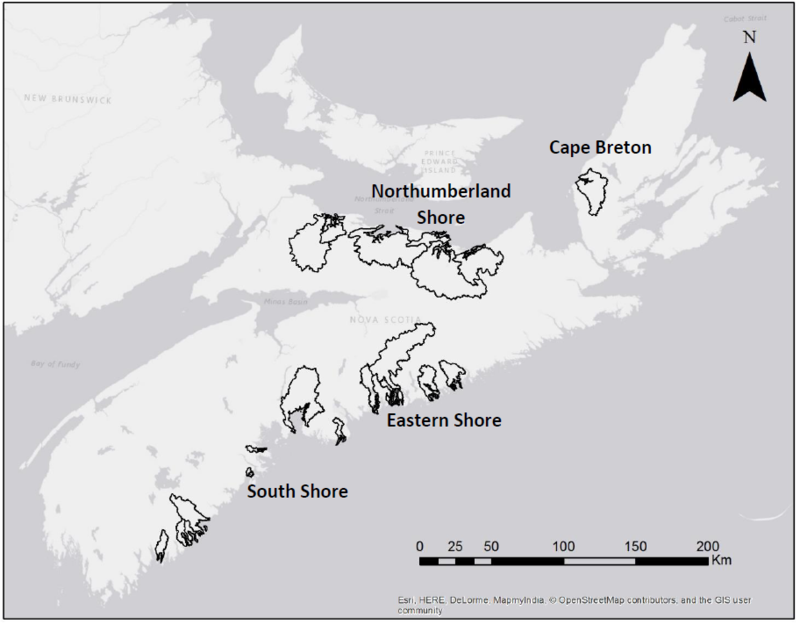 This study used large-scale field surveys across 12 estuaries in two provinces in Atlantic Canada to quantify eutrophication-induced changes in the ecosystem structure and services of seagrass beds. Check out this New Book edited by J.B.C. Jackson, Karen E. Alexander & Enric Sala. In Chapter 8 “Uncovering the Ocean’s Past” of this volume, Heike and co-authors synthesize how we can use records from palaeontology, archaeology, history, genetics, early scientific surveys and modern ecology to understand the ocean’s ecological and environmental history. The Adriatic Sea is among the most human-impacted coastal ecosystems worldwide – but when did humans start to affect its marine resources? Reconstructing past changes in marine resources and food-web structure, this study illustrates the long-term and far-reaching consequences human activities can have on marine ecosystems. Resource abundance has changed since at least Roman times and accelerated in the 19th and 20th centuries. Today, most traditional marine resources are depleted, and many species are rare or extirpated leaving food webs simplified and less resilient to further perturbations. Marine vegetated habitats provide essential functions and services to ocean ecosystems and human well-being. It is unclear, however, how different habitat types compare. 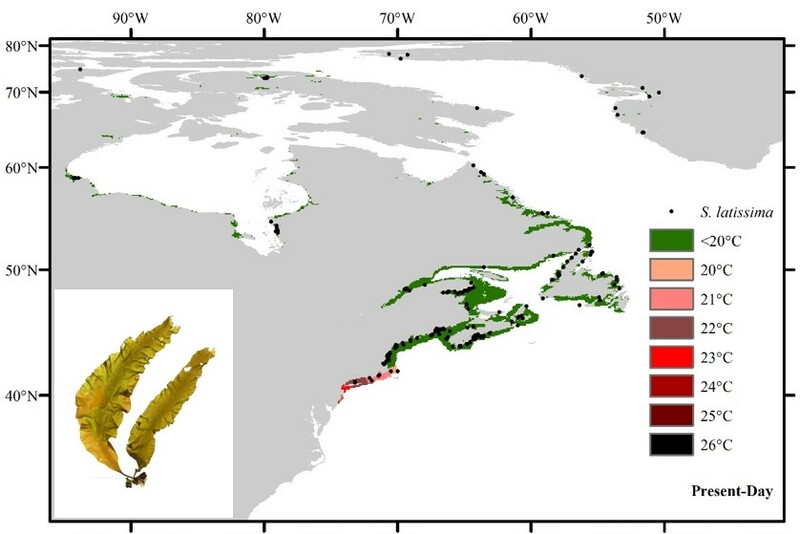 Using large-scale field surveys and binary network models we compared the habitat and food-web structure between eelgrass and rockweed beds in Atlantic Canada, assessed their nitrogen and carbon storage services, and determined their robustness to species loss. Many marine populations and ecosystems have experienced strong historical depletions, yet reports of recoveries are increasing. This study reviews how common recovery is among depleted populations and degraded ecosystems and what its magnitude, timescale and major drivers are. Learning from such recovery successes as well as failures is essential for implementing realistic conservation goals and promising management strategies. Estuaries have been vital components of marine ecosystems throughout history, and for millennia, human activities have shaped estuaries more then any other part of the ocean ecosystem. A review of the timeline, magnitude and range of human-induced changes within and across six estuaries in the United States before and since European colonization aids in determining the current status and potential future trajectories of estuaries and the development of realistic management and conservation goals. A study synthesizing the nature and scale of the ecological consequences of shark declines in the global ocean uncovered overall patterns and presents new evidence for the importance of shark populations to the rest of the marine world. In only a few decades, most sea cucumber fisheries around the world have experienced a boom-and-bust pattern; over time, this has happened faster and further away from the main markets in Hong Kong and China. Currently, 81% of sea cucumber fisheries globally have experienced population declines due to overfishing. The findings suggest these fisheries are often unsustainable and may develop too rapidly for effective management responses.